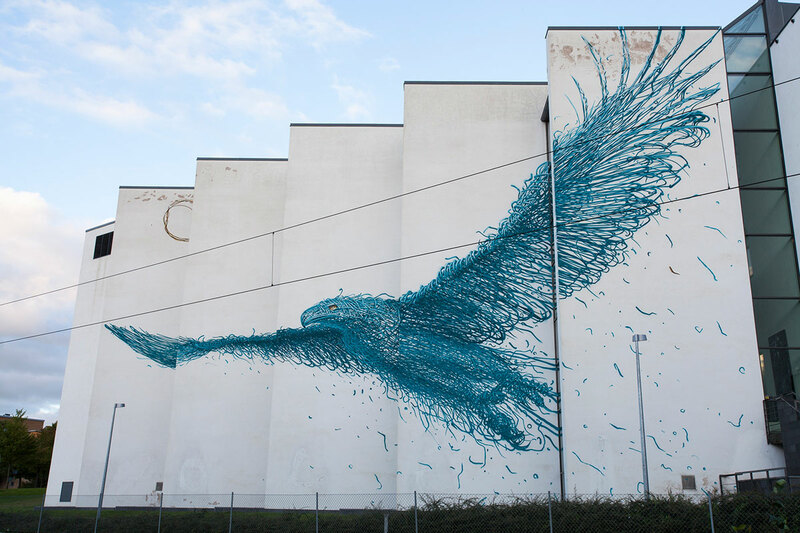 Seen above is an amazing mural by artist DALeast, completed in the city of Borås, Sweden in 2015. The colossal bird spans five panels of the building’s facade and is entitled, “Measure the Immeasurableness”. We’ve previously featured the amazing artwork of DALeast in both 2012 and 2015.